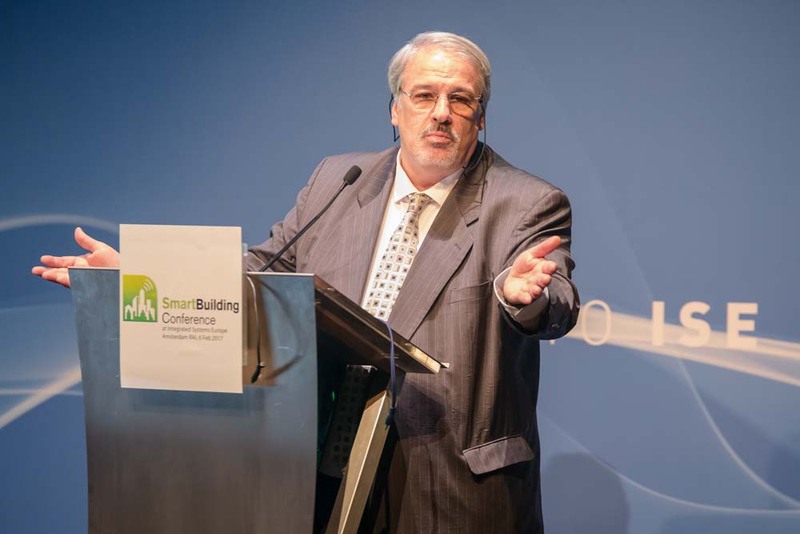 Smart Building Conference 2018 completed its annual one-day event with an impressive line-up of ‘C-Level’ industry speakers, sponsorships by key industry players and the support of the largest number of attendees in its seven-year history. 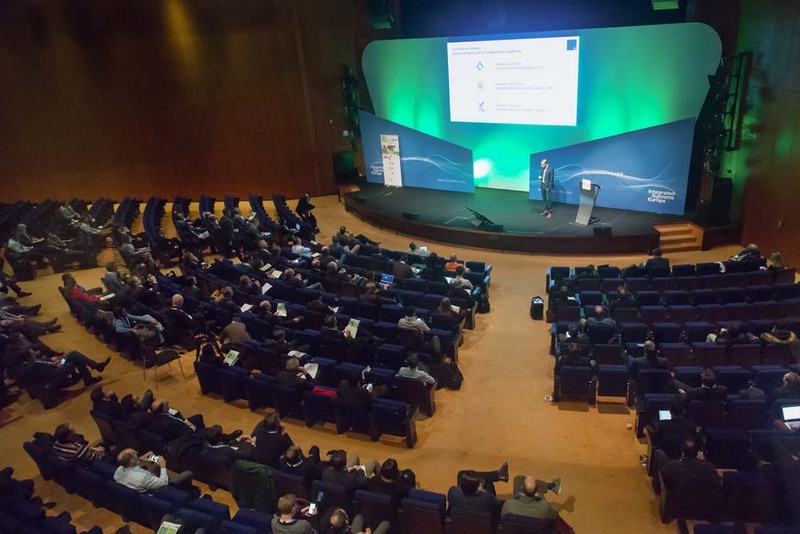 Taking place one day before the start of the record breaking Integrated Systems Europe exhibition, the summit focused on explaining the smart revolution taking place within the commercial and residential built environments. In total, more than 30 international experts and thought leaders explored the new opportunities within the fast moving smart building, office, home and city sectors. Research taken during and after the conference revealed that nearly 90% of attendees indicated they intend to return to SBC 2019. More than 80% said that they intend to share some newly acquired information from the speakers with their office or workplace colleagues. Smart Building Conference 2018 sponsors included: KNX, Spinetix, Anixter, Biamp, HDL, Irdeto, Accenture Industry XO, AVI-SPL, AV Drop, LumenRadio, and SwitchBee. Smart Building Conference is held each year in Amsterdam on the day before the opening of Integrated Systems Europe. It is produced by Integrated Systems Events, the producers of the ISE exhibition. Integrated Systems Events organises, manages and develops leading business-to-business events for the professional audiovisual, electronic systems integration and IT industries. Integrated Systems Events was established in 2003 as a joint venture of two trade associations – AVIXA and CEDIA – and has continued to grow year-on-year. With employees engaged in sales, operations, marketing and content development across Europe, Integrated Systems Events is a truly international company with a global reach. Its flagship event, Integrated Systems Europe, is the best-attended AV and systems integration trade show in the world, attracting over 80,000 attendees and almost 1,300 exhibitors to its Amsterdam location every February. The annual Smart Building Conference brings together leading experts in the residential and commercial ‘smart building’ industries and takes place on the day before ISE begins. Integrated Systems Events continues to expand – with partner invidis consulting it hosts successful DSS conferences in Europe and Russia. Plus, it has recently added the VR Days festival and XR Summit to its annual schedule. Taking place over three days in October in October in Amsterdam, VR Days explores creative solutions for the virtual, augmented and mixed reality (XR) marketplace. XR Summit is a half-day XR B2B conference that takes place during ISE. What does Integrated Systems Events provide for your business? The answer is straightforward: a direct route to the AV and systems integration market whether you are part of the channel or an end user. ISE delivers excellent networking opportunities, increased market exposure and exclusive access to the world’s industry leaders and fast growing customer base.